What is traceability and why is it needed? Tracing products is an important aspect of supply chain management and resilience. There are varying motivations for understanding the origin of products. In some industries, such as the mining sector in Rwanda, traceability is a regulatory requirement. Elsewhere it is a way of monitoring the impact of initiatives, such as climate-smart agriculture or livelihood improvement programs with smallholder farmers. In Malaysia, our clients use tracing tools to tackle deforestation in the palm oil sector, which improves the sustainability of the product and reduces brand risk. In other instances, tracing data is used to support brand promises about the origin of a product, especially high-end goods claiming single origin. These examples highlight the fact that “Traceability” has become a word frequently used in respect to varying objectives, so what does it actually mean? There are different ‘levels’ of traceability. For some, traceability is the ability to trace the chain of custody for a product back to its origin. It is knowing that this bag of coffee was produced by that farmer. This is particularly important where the productivity of individual farmers is being monitored or where there are risks in the supply chain surrounding the conditions and circumstances in which goods are produced, such as child-labour and deforestation. For others tracing to a community or farmer organisation level is sufficient, for example assessing the impact of community self-help groups or informing a customer of the region in which their cocoa was produced. However, tracing to this level in developing countries can be difficult, especially when multiple stakeholders and middle men are involved. 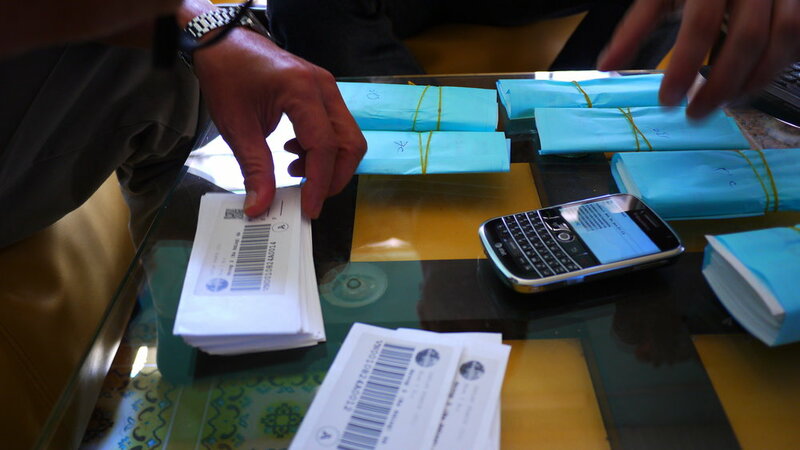 In addition to tracing products, traceability can also be used as a term to describe the tracing of finance and effort. For example, many development projects want to trace resources provided to farmers, whether this is the provision of inputs, knowledge (i.e. training), or finances. An example of this type of tracing is a project we are working on with coffee farmers in Uganda. At GeoT, we have developed a system that allows customers to know specifically where their goods come from and connect this with information about the production processes. This allows companies and development initiatives to adopt a holistic approach to supply chain management, resilience and sustainability. The design of investment initiatives into smallholder farmers can be determined through the data collected on their practices, initiatives can then be monitored through the collection of project data (such as records of training, input distribution, etc), and the impact of an initiative assessed through a combination of data collection (to see how practices have changed) and traceability (to monitor the quality and quantity of the produce). So, to answer the initial question, the exact definition of traceability depends on what the motivation is for it. As with so much, the level of traceability adopted will depend on what is required to achieve the traceability objective, taking into consideration the parameters of price, time and quality. Whatever system specifications are implemented, a tracing system should result in greater knowledge, trust, and accountability along the supply chain. Newer PostYou think you’re investing in a traceability system – is that really the case?